Betty Assaf's pottery studio is nestled amidst towering cedar and Douglas fir trees next to her charming bed and breakfast. Visitors can watch the art of pottery making, and browse through an eclectic choice of hand made pottery. A variety of glazes are used. 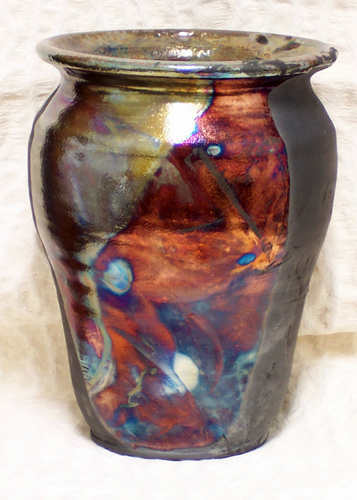 Some incorporate local clay for a unique and durable finish. All utilitarian ware is dishwasher, oven and microwave safe.